He's played several Klingons on TV, fan films and games, a Hirogen, a Changeling (technically twice), a magazine illustrator and appeared in the very first scene of Deep Space Nine. In person, JG Hertzler is just as powerful a presence as every one of the roles he portrayed in the Star Trek franchise and was gracious enough to spare a few minutes of his time at First Contact Day 2016. A very decent chap indeed! Our interview was opened up with us searching for fairground sounds which we discovered were emanating from a replica Enterprise captain's chair but having quickly solved the mystery of the electronic chimes we turned our attention to the franchise that put him into a lot of prosthetics. Aside from Martok though, would JG want to play any of his other characters again? "No," said the actor very quickly, "Kolos would be fun who was the Klingon lawyer [in Enterprise] but there's so much to Martok . 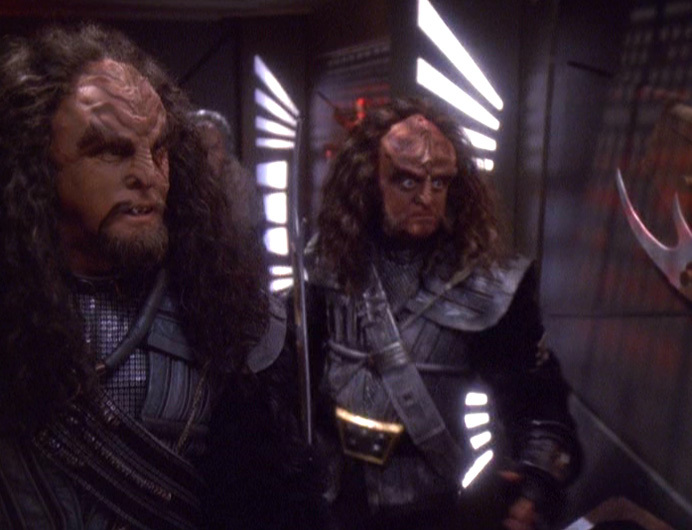 He's such a conservative as well as being the most progressive Klingon ever but I so identified with Martok. In an actor's life you get the chance to maybe do five projects in your lifetime that you are ever really dedicated to and mean everything to you. 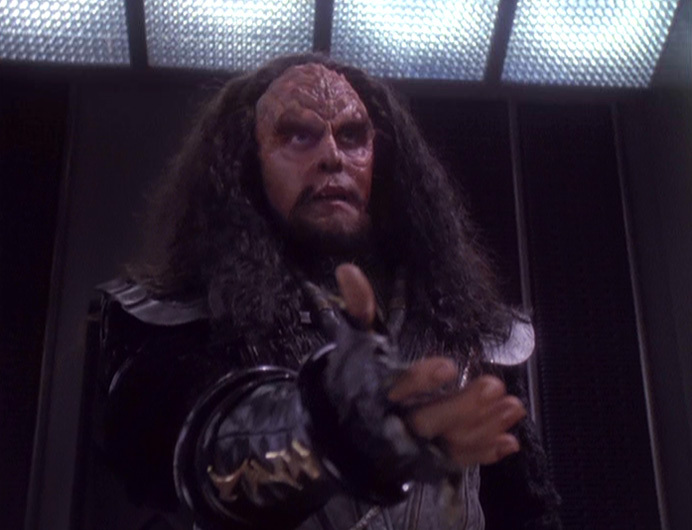 Martok is perhaps the biggest at this point." 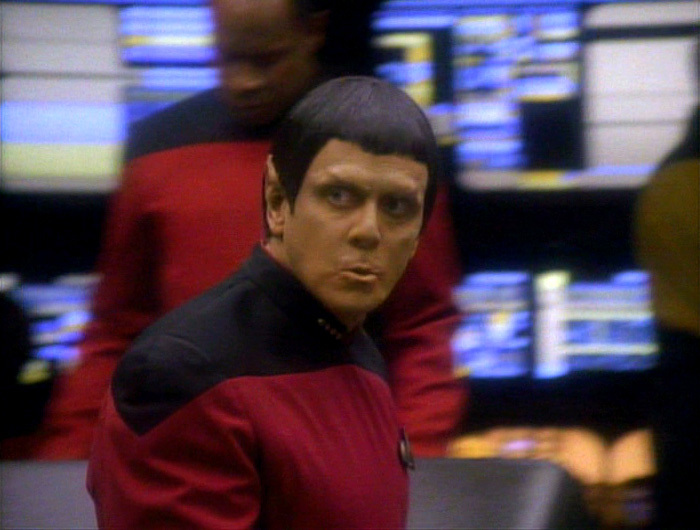 "I've been on stage, on Broadway, but Martok and being able to work on it for four years is also a gift. To have the writers writing for you, for the character is wonderful." JG sees that Martok evolved from a very standardised, generic Klingon character being loud, oppressive, overbearing, angry all the time into the old leader, a Churchillian character or perhaps if Kennedy had lived to be an older man that I would have been like that. He's my personal hero in world relations. JFK was incredible." The Martok actor drew parallels between the American president whose rise to the top was partially due to his experience in the US Forces. "He was a true hero in the strictest sense," explained JG recalling an incident where JFK had to drag an injured colleague through the seas and island to island seeking rescue. "He never bragged about it and there's no boasting in Martok either." Herzler's parents bred that into their son too. From humble origins they made sure he understood that "it's about doing your job and not broadcasting yourself." Certainly Martok's popularity was never something that Hertzler expected nor was the opportunity to play the role after his initial appearance in The Way of the Warrior which opened Deep Space Nine's fourth season; "I never thought about it. 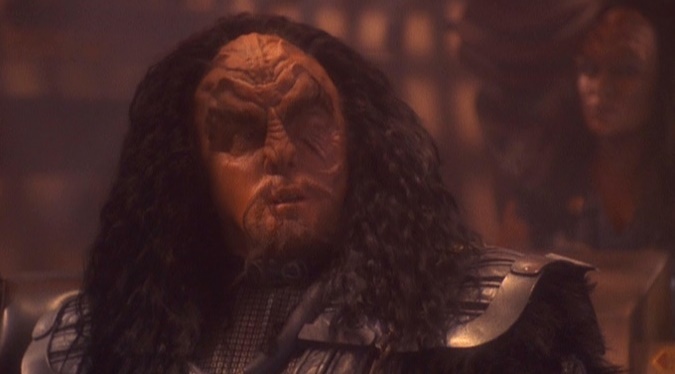 It was only supposed to be for that two-part episode and originally it was going to be Gowron who was going to be duplicated and was causing the trouble but they thought that was too easy so they made it the Martok character. After that appearance Ira Behr came up to me and said 'We're gonna bring you back because Worf needs a friend'. Of course the next time the general showed up was In Purgatory's Shadow and By Inferno's Light in the fifth season. Herzler was told again he would be back and not to worry because they would be giving him an artificial eye. "I said not to give Martok the new eye because it wouldn't be Klingon to get an artificial one. He would rather wear the scars visibly which is why he ended up with one eye. The other reason is that pirates work and secondly I have a bad left eye anyway!" As Mini-Martok had joined me for the day it felt only right to ask his bigger, real life model how it felt to be miniaturised; "It's very rewarding!" he joked, "It's like Caesar who must have had their face on every coin. It must have an effect and to have an action figure it's a big step in an actor's career. It's a big thing that you're iconic enough to have something built of you." One thing that I spoke to both Aron Eisenberg and JG Hertzler about was the strength of the cast in Deep Space Nine; "Ira Behr said to us that he was so proud of the cast of the show as the executive producer. He didn't cast the original people but he cast a lot of the later guys. He wouldn't let us go and he would keep finding reasons to get us together after the show was over." Currently JG is on the town board for Ulysses in New York but is also a keen writer. "Writing a script is the hardest thing I've ever done," he noted, "I've written eight now and the latest one is out there. It's about the uranium and the race to the atom bomb and the countries involved. 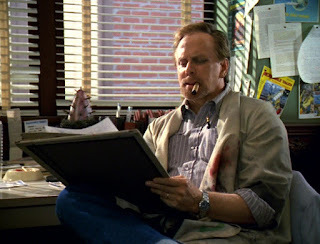 It's information I've never heard about and it's a hell of a story so that's what I'm writing." Thanks again to JG Hertzler for his time at FCD 2016.